Our Amish Newport Farm Table is ready for your holiday buffets, family reunions and birthday celebrations! An oval table top is supported by elegant, detailed legs and offers room for expansion with our extension options. Solid wood furniture provides quality that will last throughout the years as you celebrate milestones and achievements with your family and friends. 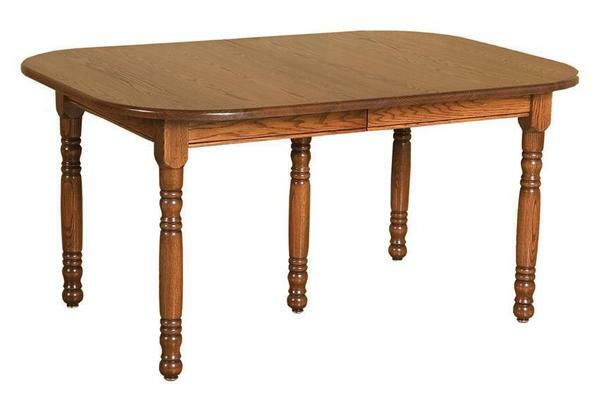 Visit our blog for information on dining table styles to find the one that is best for you!